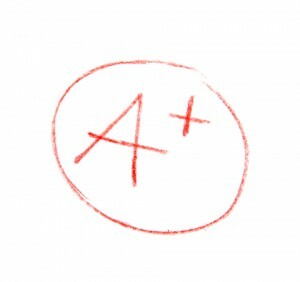 Does your neighborhood get good grades? With a new rating site Neighborhood Appeal, apartment seekers now can see how the neighborhood rates, based on a scale of A+ to F, for any city, town or zip code in America. To determine the grade, Neighborhood Appeal analyzes: Scenic beauty Weather Crime Air Pollution More important, Neighborhood Appeal allows visitors to submit their own grade for any neighborhood. We believe this user-submitted crowd sourced Neighborhood Appeal grade will become the most reliable indicator of a neighborhoods appeal on the Internet. Neighborhood Appeal is a free resource for people who are looking to move to a new neighborhood or travelers who want to find a nice area to spend the night, says Michael Nirenberg, the websites founder and chief neighborhood enthusiast. The desire to live in an appealing neighborhood is a growing concern. Before deciding to move to a new neighborhood, people can use Neighborhood Appeal to find out the areas appeal, or even ask the natives a question. Good grades will help landlords attract the best renters. Nirenberg started Neighborhood Appeal when he realized that the most important factor in choosing a place to live (or visit) is the areas appeal. A lot of websites that analyze neighborhoods provide complex numbers and statistics, Nirenberg says. Neighborhood Appeal simplifies all the numbers into a single, easy to understand grade. Any child knows what an F means, Nirenberg adds. “Most people looking to move to or visit a neighborhood just want to know: is it a nice place? Nirenberg continues. Ultimately, the people who know the area first-hand will decide. This is where Neighborhood Appeals user-generated grades shine. According to the U.S. Census approximately 43 million Americans move each year. Of these people, 19% moved to a different county within the same state and 19% moved to a different state. Neighborhood Appeal is an easy way for people who looking to move to or a visit a neighborhood to check out its appeal. Neighborhood Appeal allows discussion of just about any subject, topic, product or service, as long as it relates to the neighborhood. It is a place to announce you found a lost dog, need some help painting your house, or want to draw more people to a church or club event or fundraiser. Michael Nirenberg, the founder of Neighborhood Appeal, has been on FOX news, the History Channel, PBS, Chicagos WLS radio, quoted in the Wall Street Journal, FIRST for Women, and Whole Living magazine, and featured in other media sources. He is a practicing podiatrist, surgeon, forensic expert, walking instructor, and neighborhood enthusiast. Nirenberg has assisted law enforcement in homicide investigations involving foot-related evidence. Nirenberg is currently expanding Neighborhood Appeal, adding a myriad of features and innovations. He plans to bring the platform to Canada, the UK and other countries. American Apartment Owners Association offers discounts on products and services for all your property management needs. Find out more at www.joinaaoa.org.